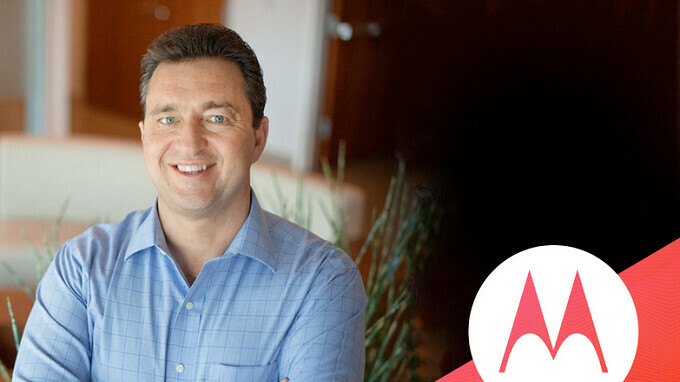 Motorola announced today that Aymar de Lencquesaing has resigned as president of the Lenovo-owned firm. Sergio Buniac (pictured at the top of this story) will take over for de Lencquesaing, who decided that he would rather spend more time with his family. Buniac has been with Motorola for 22 years, most recently as Senior Vice President and General Manager for the company's Latin America operations. This has been a challenging year so far for Motorola, as the manufacturer was forced to layoff an undisclosed number of employees. Back in November, analysts at BayStreet Research estimated that from its launch in August through October, only 145,000 Moto Z2 Force handsets were sold by the nation's top four wireless carriers. Considering that Motorola put a reported $200 million advertising campaign into the device, sales of the 2017 flagship did not get off to a good start. Motorola also said that its first batch of 2018 handsets will be unveiled next month. That dovetails with previously leaked renders of some 2018 Motorola phones that show Tuesday, April 3rd on the screen. Additionally, we told you earlier today that the Moto G6 Plus has been certified by Taiwan's NCC regulatory agency which hints that the introduction of the Moto G6, Moto G6 Plus and Moto G6 Play could take place very soon. I think they do better in the mid-range to low end market. I wonder how many people picked up one of the Moto Z2s (or any other Android phablet) and decided to just go with the more comfortable and pocketable iPhone. I don't think the US market cares too much for large phones like the rest of the world - we have iPads, big screen TVs, computers, and game consoles here. I see Moto losing more sales, even with budget phones, seeing as how the new phones from them are once again getting physically larger. The Moto Z2 never came to Canada or a number of other markets. So how do they expect to sell, if they are not in all markets. Don’t know, I was only speculating on the reason it wasn’t successful in the US market, per the subject of the article. Here I was thinking that BlackBerry had done poorly with KEYone sales at only 850,000. Wow, only a buck forty-five. Sad to see a once proud American company basically falling on its sword like this. I'm not sure how much of a difference it actually makes, but those KEYone numbers are worldwide. These Moto numbers are only referring to the top 4 carriers in the U.S. & the phone didn't actually even release on all 4 of them. That was numbers strictly for the "force" edition, not the standard Moto Z2. However, I am sure the numbers for the the regular z2 were not much higher than that. requirements for Motorola to rebound in the US: big battery, QHD screen (preferably amoled), beefy specs (cpu,ram, etc. ), near stock android. headphone jack. good camera. You're welcome Motorola. LOL, and accomplish something (good camera) that they've been unsuccessful at for the history of the company. not one flagship from a major OEM has a battery over 3500mAh. the headphone jack is also disappearing fast. the only company that runs close to stock is Motorola. so what were you saying about all OEM's already having flagships like this? Unfortunately since google sold Motorola to Lenovo they don't seem to have luck in smartphone businesses. Motorola has been in trouble long before that, even before Google. I think they have no sense of direction. Look at what the Moto g, e, and x once we're. Look at them now. The g series doesn't represent best value anymore. The x series is dead and the z line is a joke. I would suggest for everyone to not think any different of Motorola (if you previously liked them) If everyone stops buying their phones because of all the recent bad news then that will be what causes Motorola to die. Do we really want that? Wouldn't care either way honestly.